With all of the recent snow here in Switzerland, the skis, snow boards and snow shoes have been dusted off and the winter season is in full swing: we can really start to enjoy the great mountainous playground around us. Snow sports are generally safe. The risk of sustaining an injury whilst enjoying these activities remains very low. There are somewhere between 2-4 injuries for every 1000 days spent on the slopes. This means that happily, most of us will enjoy skiing, snowboarding etc. all of our lives and not sustain any significant injury. However, if there is one injury that we all dread, it’s a knee injury. 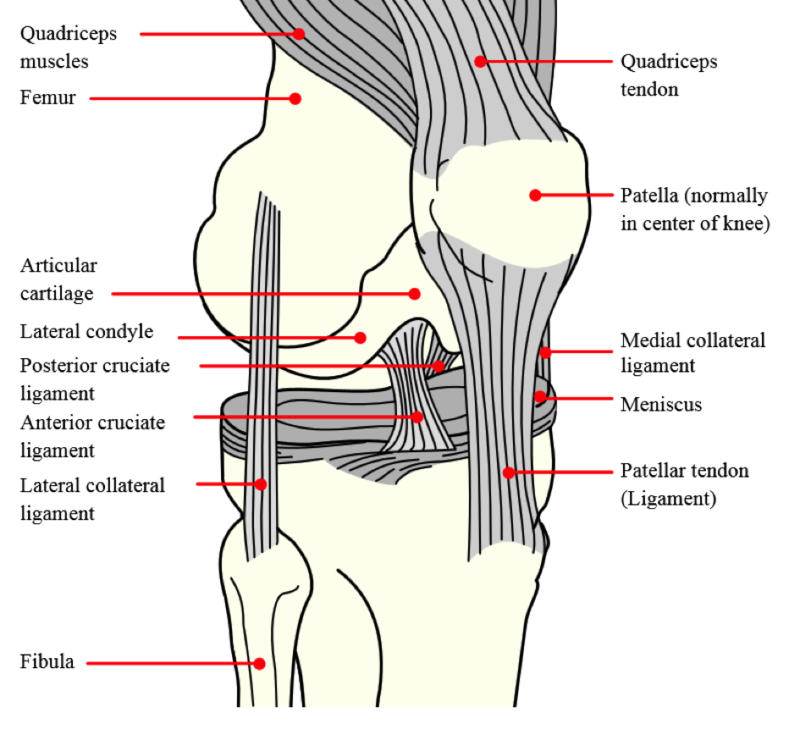 The vast majority of knee injuries involve damage to knee ligaments. There are four main ligaments in the knee which can become sprained (stretched) or torn (ruptured) to varying degrees. 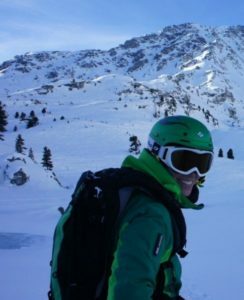 The ligament that is particularly at risk of injury in winter sports, especially for skiers, is called the medial collateral ligament. This ligament is found on the inner side of the knee and helps to protect and stabilise the joint by limiting the amount of side-to-side movement. All knee ligament injuries tend to cause the same kind of symptoms: a popping or snapping sound or feeling at the time of injury; knee swelling due to bleeding from the damaged ligament; pain around the knee; abnormal movement of the knee or a feeling that the knee is “giving way” if you try to stand on it; sometimes bruising of the skin around the knee. The severity of these symptoms will depend on the degree of injury to the ligament – a minor sprain will cause less in the way of symptoms than a complete ligament tear. What should you do if you suspect a knee ligament injury? You’re skiing with your friends on a beautiful sunny day. One of them falls whilst carving a turn at speed and is crying out in pain, unable to move their knee. Don’t rush in to help if it’s not safe to do so – think about potential for avalanches, falling rocks etc. depending on where you are. Use a pair of crossed skis uphill from the accident scene (and a second pair if you have them) to alert other people to the accident. There may be a number for the local ski patrol on your ski pass or piste map. If you are near a lift station, the lift attendant will be able to call the patrol for you. You may need to call 1414 for the Swiss Air Rescue Service (REGA) in Switzerland particularly if you are off-piste. Download the REGA Smartphone Emergency app today: http://www.rega.ch/en/multimedia/mobile-app.aspx In other European countries, call 112. You know that your friend is conscious and breathing because they can talk to you so there is no need to put them in the Recovery Position or start CPR (Cardio-Pulmonary Resuscitation). Don’t move them unless they are in danger. Don’ttake off their ski boots. Don’t give them anything to eat or drink. The most comfortable position for a swollen, injured knee is bent at 30 degrees, with something under the knee to support it. Carry a foil space blanket with you in your rucksack and use this to keep the person warm. When the emergency rescue team arrive on the scene, tell them what has happened. You and your family have been on a snowshoeing expedition. You had a fall but were able to get up quickly and carry on walking for the rest of the afternoon. However, when you get out of the car having driven the 60 minute journey home, your right knee is quite painful and is slightly swollen. What should you do? For self-help treatment for a knee injury, you need to think about “paying the PRICE” and “doing no more HARM”. Protect your knee from further injury. Rest your knee for 48-72 hours. Ice – make an ice pack (e.g. from a bag of frozen peas wrapped in a towel) and apply this to your injured knee for 10-30 minutes. Reapply the ice pack for 15 minutes every 2 hours or so. The cold helps to reduce blood flow to any injured ligament and so helps with pain and inflammation. Don’t leave an ice pack on whilst you are sleeping. Compression – this can be applied using an elasticated bandage. Make sure it’s not so tight that it interferes with blood flow. Take off the bandage before you go to sleep. Elevation – keep the injured knee raised higher than the level of your heart to help reduce swelling. Lie on the sofa and put your knee, lower leg and foot up on cushions; do the same with pillows whilst you are sleeping in bed. Heat – this can increase blood flow to an injured ligament so don’t take a hot bath, shower nor use a sauna or heat pack. Alcohol – this can have negative effects on healing and can also increase bleeding and swelling. Running – or other types of exercise may cause further knee injury or damage. Massage – can also increase bleeding and swelling if used within the first 72 hours after injury. In terms of medication to help pain and inflammation, one group of drugs that we all think about taking after a knee or sporting injury are the non-steroidal anti-inflammatory drugs (NSAIDs) like ibuprofen. However, some doctors now believe that such drugs taken within the first 48 hours after an injury may actually hinder the healing process (some degree of inflammation is needed to help healing). The drug paracetamol (acetaminophen) works in a different way to NSAIDs and so is a good alternative if pain relief is needed. Check with your doctor or pharmacist for further advice. If you have tried these self-help measures overnight but are still in pain the next day, then go and see a doctor for assessment. Have a great winter season and stay safe in the mountains! If you would like to learn more and also practice some potentially life-saving First Aid Skills, then why not join one of our First Aid courses. Go to www.healthfirst.ch/services/companies-organisations/first-aid-courses/ to find out more and book online.